Google Glass has arrived like a piece of sci-fi memorabilia sent from the future. But with all the talk about wearing the Internet on your face and whether or not these glasses can ever be fashionable, the most obvious and important story has gone untold: What is Google Glass actually like to use? The Glass screen sits out of view, and it’s usually off, just like your cellphone screen. Its frame is essentially a trackpad with three main gestures. Tap once with a finger to select. Slide your finger along the temples to scroll. Swipe down to dismiss a screen. Swipe your finger down on the frame to dismiss the screen and go about your day--it’s basically the same thing as the Android’s back button. Slide your finger back along the frame to view a few Google Now-esque “cards”--like the weather report. Slide your finger forward along the frame--and this is the heart of the experience--which takes you through a “timeline” of everything, from the photo you just took, to a search you just made, to a video you were sent to a notification you received earlier from the New York Times. This is how Glass is much like Twitter, or may be, assuming you subscribe to several services for updates. So, you have cards--essentially your simplified app experiences. Now say you subscribe to the Times. They might send you a card (a headline and a photo) every hour. Now you can ignore it, or you can tap Glass to explore more. Because some cards aren’t just cards. They’re bundles. Any card with a pagefold in the upper right hand corner is hiding its own timeline. So to cycle through stories within that Times bundle, you swipe through just as you would your main Glass timeline. If you were in Path, tapping a card might allow you to swipe through your reaction choices: smiling or frowning. SO IT’S ALL ABOUT THE TIMELINE! Glass is essentially several layers of timeline. You have your main timeline. Kinda like your twitter feed of things you’ve done and received. You have a timeline with information (or cards) hiding in bundles. You have a timeline of options (share, reply, etc.) hiding in cards. Yes, it’s still a little bit complicated to understand, because surprisingly there’s still no one video presented by Google that drives the idea forward. But most work flows will involve tapping something you’re interested in, then sliding through cards, then tapping a card, then sliding through options. Lost? Just flick downward to get the heck out of there, like an Android phone. Google understands Glass’s biggest potential downfall, that a world of messaging and media distracts us from the world in front of our face. A deeper look into their interface logic reveals how they’re encouraging developers to deal with it: Push the simplest of updates to a user. And give them either one piece of information, or one option of what to do with that information, per screen. So far, so good. Assuming your finger can buff up enough to slide around on Glass’s frame fairly often, you’ll be able to do a lot quickly on the platform. 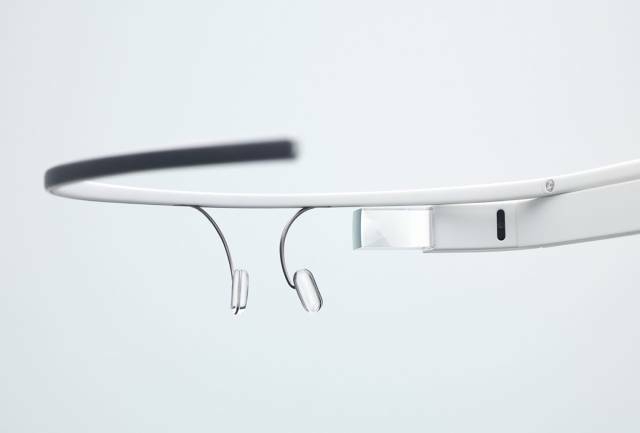 But at the same time, Google is admitting that Glass won’t do everything. It’s not providing the info-dense content we have on laptops, or even smartphones. And at least according to this presentation, the interface isn’t really geared at all toward creating immersive, augmented-reality applications. Truth be told, Glass may seem a bit less ambitious, once you break down its UI architecture. But often, restraint takes as much ambition as anything else. Glass needs to aspire to be usable, first and foremost. And that’s exactly what it’s going for. Note: I did my best to accurately summarize and present the work flows in the video presentation. It’s possible, probable even, that I’m using some terms a bit differently than Google at times, or that I even screwed something up. We’ll all know more once the Glass Mirror API goes public.